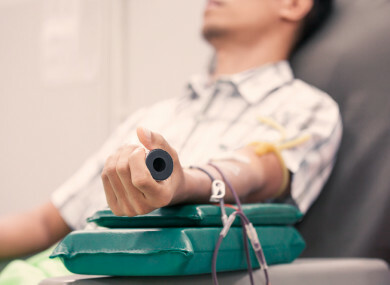 THE IRISH BLOOD Transfusion Service (IBTS) is asking donors to make extra efforts to give blood as it only has a three-day supply left in the aftermath of Storm Emma. As a result, the national blood supply has been severely depleted over the last week as the IBTS has been unable to hold clinics. As of this morning, the IBTS confirmed that it only has a three-day supply on average across all blood groups and just a two-day supply left in O negative. “We will be unable to guarantee supply to hospitals unless there is a significant increase in donations over the coming weeks to make up for the shortfall,” IBTS operations director Paul McKinney said. “With St Patrick’s Day bank holiday weekend fast approaching and Easter on the horizon, we have limited time to get the blood supply stabilised,” he said. Minister for Health Simon Harris has also asked people to give blood to help restore blood supplies for patients. “One in four will require a blood transfusion at some time in their lives. For many people, that time is now, and our blood supply has been severely depleted over the last week,” Harris said. “I’m now asking blood donors, and those who would like to be blood donors, to visit a clinic in the coming weeks,” he said. The IBTS is aiming to collect 7,000 donations between now and St Patrick’s Day weekend. In addition to the normal clinics, the IBTS has confirmed it is running four additional clinics this Sunday in Waterford City, Drogheda in Louth, Celbridge in Kildare and Doon in Limerick. Email “'We have limited time': Urgent appeal for blood donations as just three-day supply left”. Feedback on “'We have limited time': Urgent appeal for blood donations as just three-day supply left”.